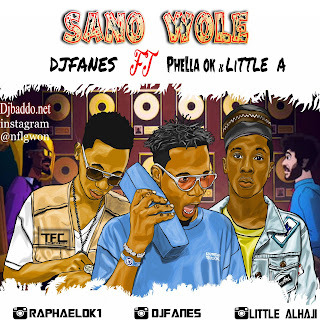 WEST Nigerian Superstar deejay, Dj Fanes (D West African Hardest Dj) breaks a record with the Coolest Mixtape Ever titled “Best Of Tekno vs Mr eazi “, A Complication of Two top African Celebrities TEKNO and Mr eazi … Enjoy the best of the Mixtape on your Radio, Mp3 players, Phones, or at your Home….He (Dj Fanes) intend to release many more Mixtapes as he can before the year runs out!!!!! !Download || Enjoy || Share With Friends pls!!! !